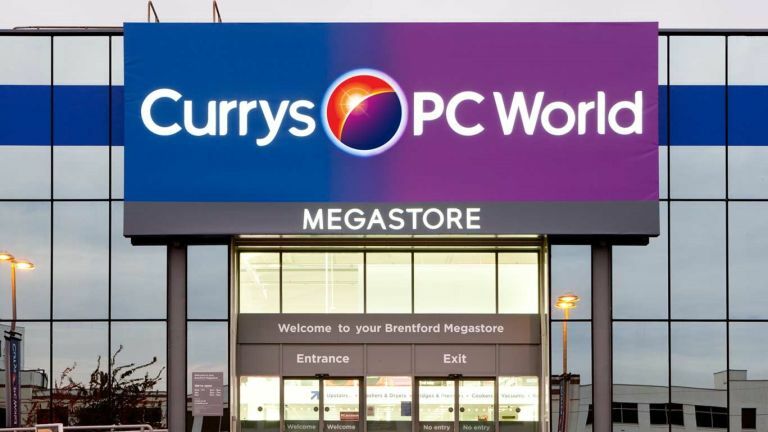 The Currys Easter sales are always worth a look for some discounted electrical goods, with some of our favourite items often in line for a big discount. With no other sales holiday lined up in the near future, this is a great time to have a look, especially if you're in the market for a new TV, laptop, console, vacuum cleaner, fridge/freezer, washing machine and so on. You'll find our favourite Currys Easter sale items highlighted below, along with a few links to the different aisle categories that have been discounted, too. This is a great price for a 58-inch 4K TV as we usually find sets close to 60-inches going for much more. It's got you covered with a selection of smart apps and HDR support, too. All for £100 less than last week, too. QLED TVs are some of the best looking 4K TVs around, which usually means they're way over £1,000. Not today though as the Currys Easter sale sees the price drop to an excellent £879, down from £1,799. This LG OLED TV has had lots of glowing reviews and is one of the best in the business right now. We've never seen it going for less either at just £1,499, down from an original launch price of £2,699 last summer, although it's been £1,799 in recent times. Need more convincing? Currys has included a five year guarantee at no extra cost. If you enjoy using the Google apps like Gmail, Google Docs and Sheets then you may be ready for a cheap Chromebook running on Google's own Chrome OS instead of Windows. This 11.6-inch model comes with a decent nine-hour battery, too. You certainly don't need to spend £1,000 to get a decent laptop in this day and age. So if you're after a new one with some decent performance, this is great value. You're getting an i7 processor, 8GB RAM, 256GB SSD and a full HD display. Wow, that's a lot of quality games right there. Sea of Thieves is brand new and would cost you over £40 on its own and Assassin's is still about £30. The other games are excellent fun, too. This collection could very well keep you going until the end of summer. Fancy getting a bunch of new games with your new Xbox One X? With this bundle you're basically getting five excellent games for just £60 on top of the console's price. If you don't want to spend too much extra on top of the base price of the Xbox One X then this bundle comes with a brace of fun games for just a bit more. This Xbox One X bundle comes with a free game and one of the best-looking ones for the new console too. If you're buying the console to enjoy the best in 4K and HDR gaming, you can't miss out on Assassin's Creed: Origins. The V8 Total clean is one of the best cordless vacuum cleaners ever made and Currys has only gone and smashed £180 off the regular price. A Dyson vacuum cleaner for under £300? That is rare. But not as rare as one under £200! This one isn't cordless, but that means you don't have to charge it and it's significantly cheaper than the V8 above. Currys isn't the only store enjoying an Easter Sale. These other UK retailers are also pushing fresh deals during the school holidays.